Antique and Classic Cars * Trucks * Motorcycles Fun for all ages! Free Admission! 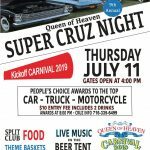 Located at the Queen of Heaven Carnival Grounds; with People’s Choice awards $10 entry fee for show vehicles includes 2 beverages. Cars Trucks Motorcycles. 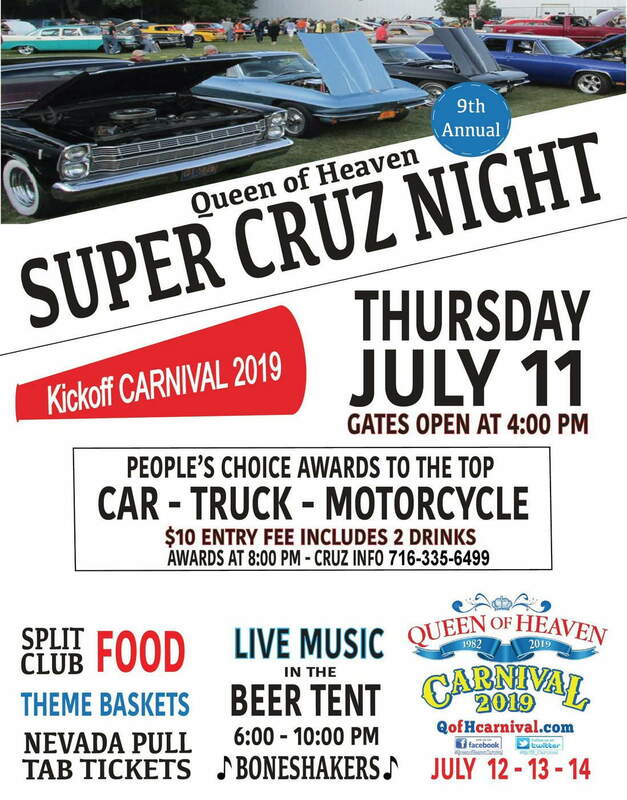 Live music in the Beer Tent 6PM-10PM “Boneshakers” Featuring * Split Club Food * Theme Baskets * Nevada Pull Tab Tickets.